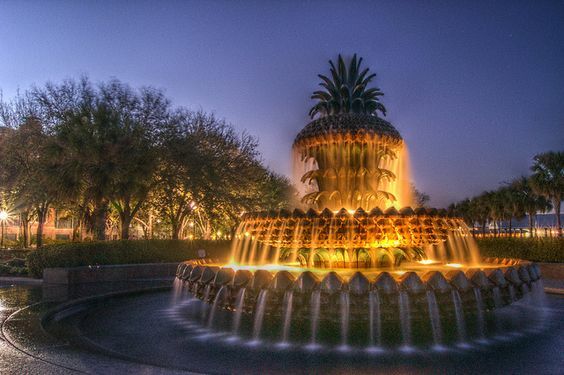 In a city of true southern hospitality and charm, everyone knows that the pineapple is the ultimate symbol of welcome. Visions and representations of the hospitable symbol can be seen all over Charleston. The legend stems back to the colonial days. When a sea captain returned home from a long voyage he would have precious, exotic souvenirs of his voyage. The captain would spear a pineapple on his fence post to let his friends and neighbors know that he had returned safely. The pineapple earned its symbolic meaning because friends would come over for dinner that night to drink and hear the captains tales of piracy and encounters with new lands.